When the International Civil Aviation Organization (ICAO) required a formal safety management system (SMS) implementation by aviation service providers in 2006, they didn't simply pass a ruling. ICAO offered guidance material for SMS implementation in Document 9859, now in the third edition. All aviation safety management professionals should read Document 9859 at least once. It is surprisingly easy to read. 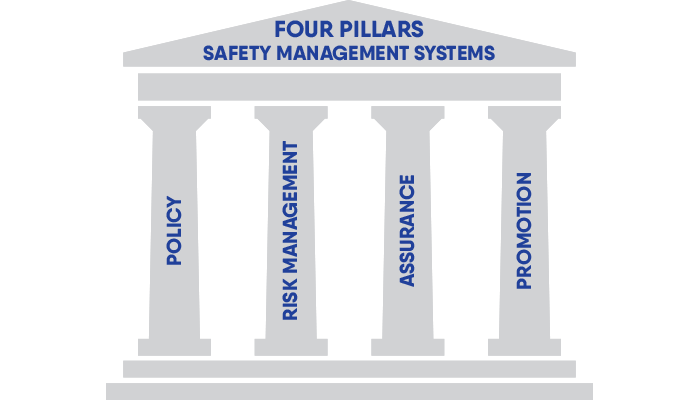 The best part about this "Safety Management Manual" is that the authors took a very broad and complex topic and broke it down into four components or pillars of an SMS. These four pillars were then broken up into twelve elements. In this blog article, we'll review the four pillars and most of their elements. We'll also sprinkle in some free downloads, such as templates and checklists to help new safety managers. South Africa CAA (not always a reliable connection). Let's cut to the chase. I'm suspecting that ninety percent of those reading this article are familiar with the four pillars. So what are the four pillars of an SMS? Let's dig into each of these components and describe their respective elements. 1) Management commitment and responsibility. A statement of accountabilities clearly defines the safety responsibilities of managers and employees at different levels in the organization, with an effective deputation of responsibilities established for operationally critical areas when principal office holders are absent. No resources yet for download. Service providers implement an Emergency Response Program (ERP) that includes contingency plans to ensure proper response throughout the organization when an emergency situation arises. This may not necessarily involve an actual aircraft accident but should include a business continuity contingency plan. BIAL SMS Manual as a Template. Individual hazards are analyzed; their consequences are assessed and communicated throughout the organization. Mitigation actions must be developed for those hazards presenting unacceptable operational risk. Safety assurance activities focus on assessing the health of the organization, with an emphasis on safety. Specific goals for improvements in all areas should be set for all senior operational managers. Safety assurance should include monitoring of external sources of safety information and include participation in regional safety groups or safety data sharing organizations. Safety assurance utilizes quality tools such as internal evaluations or independent audits to assess organizational health from a safety perspective. Onsite assessments of operational management systems on a recurring basis provide opportunities for continuous improvement of processes and procedures for each functional area of the airline. Operators must identify safety training requirements for each level of management and for each employee group. Safety training for operational personnel should address safety responsibilities, including complying with all operating and safety procedures, recognizing and reporting hazards, and ultimately ensuring that employees have the knowledge and skills to safely complete work activities. Communication of safety information is a key responsibility of the Safety Manager. Continuous improvement and learning are accomplished through the sharing of lessons learned from investigations, hazard report analysis, and operational safety assessments. Feedback to operational personnel, such as examples of procedural improvements as a result of safety reports, is an essential feature of safety communications. From our experience, most safety managers focus on risk management and safety assurance. They neglect Safety Policy and Safety Promotion. Safety managers are not the only people in the industry who overlook these two pillars. When your safety program has matured and become more sophisticated, you should ensure you spend adequate time on Safety Policy and Safety Promotion components. Furthermore, if you ever purchase aviation SMS software to help you manage the SMS data, ensure that your aviation SMS software covers all four pillars. After all, when you purchase an aircraft, what good is only half an aircraft? Get an aviation SMS solution that covers all four pillars. Have you just started implementing your SMS? Do you need an SMS manual? SMS Pro comes with an SMS manual template to jump start your SMS. Your SMS' success increases with user-friendly, aviation-centric database software. 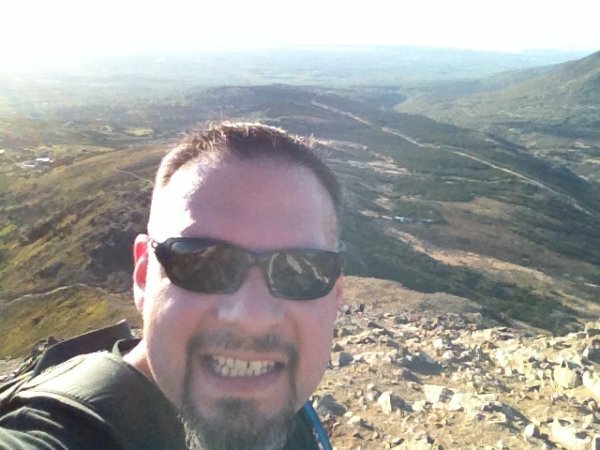 Post originally published in October 2015. Last updated December 2018.